Photo courtesy of Max Coane. There is no substitute for hands-on experience, and this is especially true for sommeliers whose business it is to know the wines they serve inside and out. Working a stage, or harvest internship, is a unique opportunity for somms to interact with the product they sell on the floor. Talking to guests about the soil type of a vineyard is nice, but having had that soil under your fingernails is a far more powerful testament to your experience. Taking time out to do a stage also helps somms develop a more nuanced understanding of winemaking processes and a deeper appreciation for the level of work—and labor of love—that goes into making wine. Producers often host sommeliers or other aspiring winemakers for parts of the harvest and crush season. This can be a day or two of fun, engaging work. It can also be four to six weeks of hard, intense labor. Like a restaurant stage, most of the compensation consists of knowledge and experience. To mark the end of harvest season in the Northern Hemisphere, SevenFifty Daily spoke with three somms who this year made the effort to take time off from the floor to participate in harvest work. We share their discoveries here. “I literally cornered him,” says sommelier Max Coane of meeting with Pierre-Yves Colin at an event in San Francisco. “I told him I was going to work harvest with him, and it turns out he was cool with it.” That’s what it took for Coane to get a coveted spot on the harvest team at Pierre-Yves Colin-Morey, one of the most revered domaines in Burgundy. Coane was able to express to the winemaker his love for the domaine’s wine—and for the region—in an enthusiastic way that was both friendly and direct. 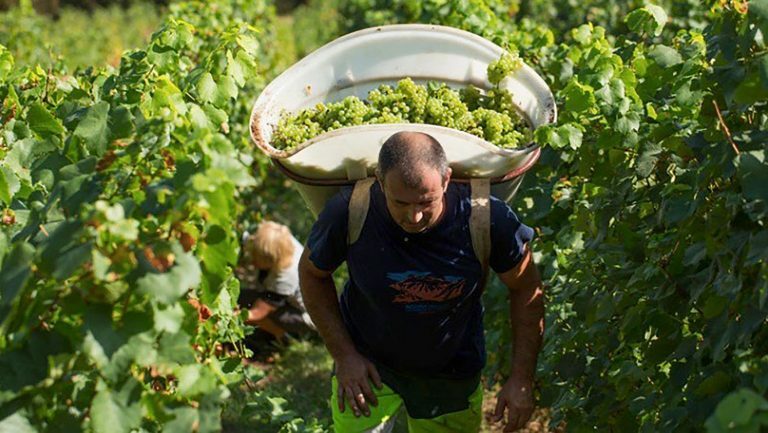 The wines sommeliers choose to represent on their wine lists can help pave the way for opportunities to work harvest at wineries around the world, and this was true of Coane’s time in Burgundy during the 2018 harvest. Coane also says that Colin told him he thought it would be a good idea to bring on someone who already represents his wines—he felt that bringing an American stagiaire to Burgundy would result in a stateside ambassador who could promote his wines as well as help people understand the domaine. Coane no longer works at Saison, but he continues to represent Pierre-Yves Colin-Morey’s wines as the wine director at Prime Cellar, an online rare-wine retailer. Wendy Shoemaker, the head sommelier at Californios in San Francisco, found her harvest opportunity during an annual somm retreat at Peay Vineyards in Annapolis, California. 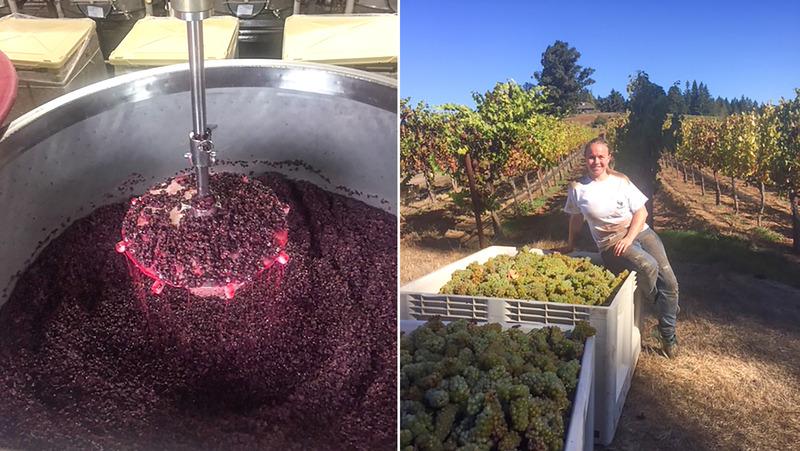 “The Peays do an annual lovefest for somms,” she says, “which includes camping in the vineyards, tasting library wines, and spending time [among] the vines.” During the retreat in 2018 she talked with the winegrower and vineyard manager, Nick Peay, about the possibility of working harvest and wound up with a few weeks of work at the winery—and a guesthouse to stay in while she was there. 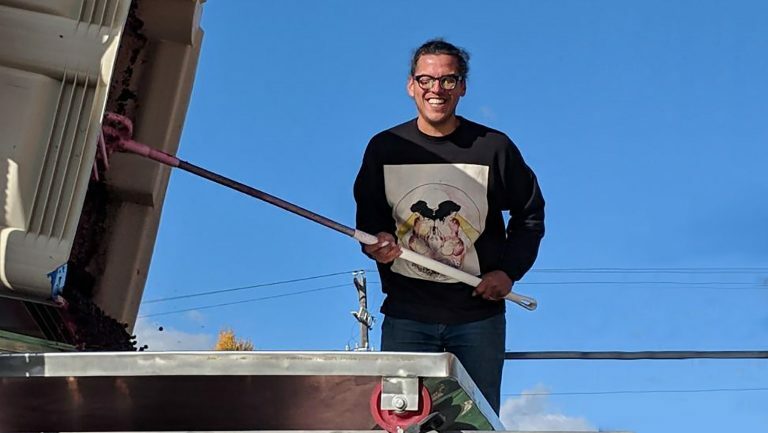 For Gomez, the decision to work harvest was made easier by the fact that Walla Walla’s restaurant community is surrounded by hundreds of wineries. He worked crush this year at Gramercy Cellars, near Saffron, and he was able to split his time between his duties at the winery and his bar and wine work at the restaurant. Photo courtesy of Robert Gomez. What made the biggest impression on Gomez was the way in which winemakers use their senses. “It’s all about palate,” he says. “Just as sommeliers use their palate, you develop that skill in the winery, too. 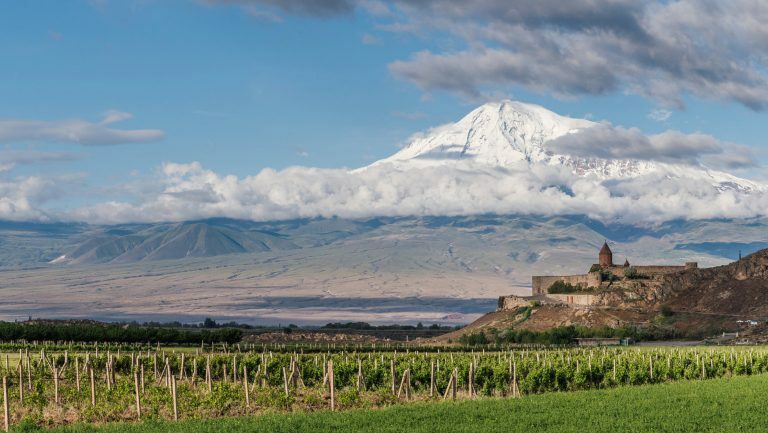 It influences all the decisions you make.” But it’s a different way of using your palate, he points out, “because you have to taste wine that isn’t finished.” And the tasting continues all harvest long. And whether it may seem somewhat glamorous from the outside, Shoemaker found that harvest life involves a lot of hard work and sweat. During her first week at Peay, she was helping to bring in 10 to 14 tons of fruit per day. She drove a forklift and did lots of equipment hookups and lifting, which she says required “significant physical strength.” Some of her mornings started at 5:30, when she went out to walk the rows and start harvesting. When I interviewed Gomez, he had just finished a shift of physically demanding manual punchdowns—and it was eight o’clock at night. 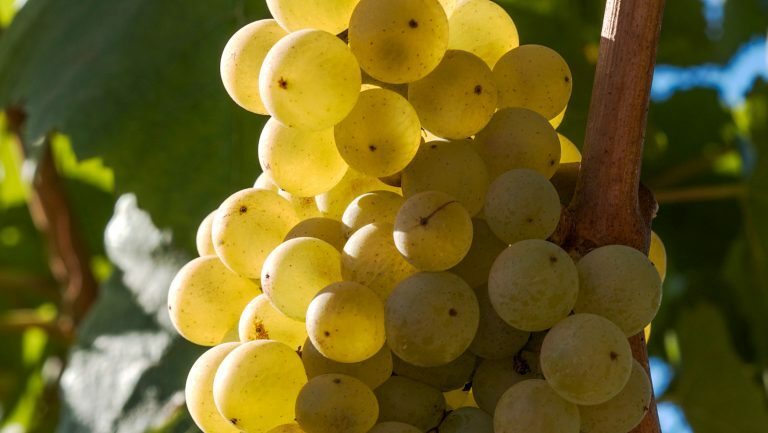 There are a number of things somms should consider before taking time off to do harvest. “There are two kinds of Americans who come to Burgundy,” says Coane. 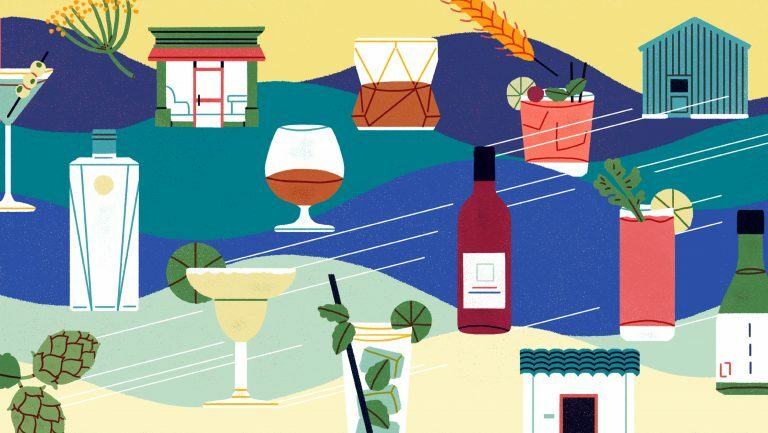 “There’s ones that go to eat at [the restaurant] Ma Cuisine, get drunk, and party. Then there’s ones that come to learn the vin Bourguignon and la vie Bourguignon. We shouldn’t just be studying the wine. We should be studying the people.” Harvest is not just about the products a region produces, it’s about the cultural context in which they exist. 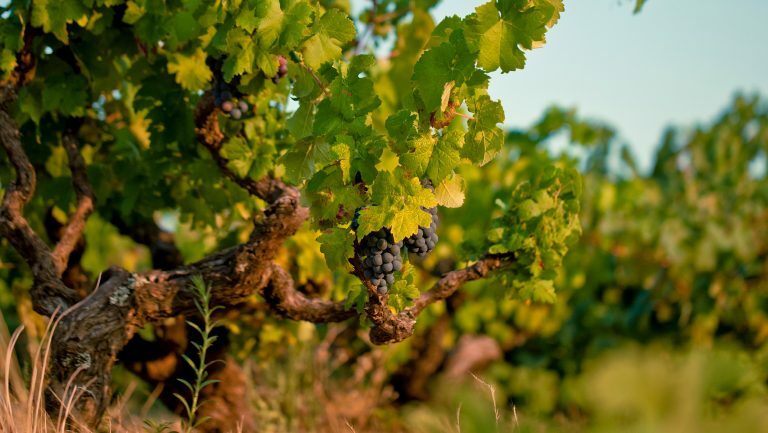 Burgundy is first and foremost a place with its own identity. Wine is one aspect of that identity, but understanding the larger setting is paramount to understanding the wine. 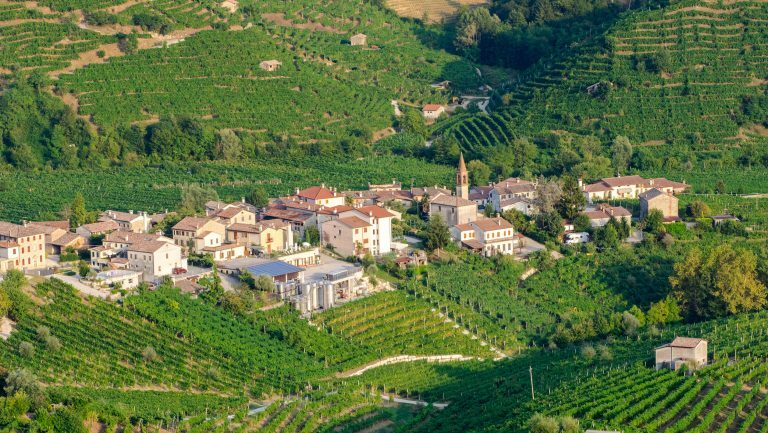 For sommeliers, understanding just the wine from these places that are steeped in tradition is misguided. The harvest experience can connect you to the people, and to the larger story of the place itself. Photo courtesy of Wendy Shoemaker. For those on the fence about working a harvest, Gomez highly recommends finding an internship and doing it. “Find a producer you love, and let them know you’ll do whatever it takes, that you’re interested in learning,” he says. 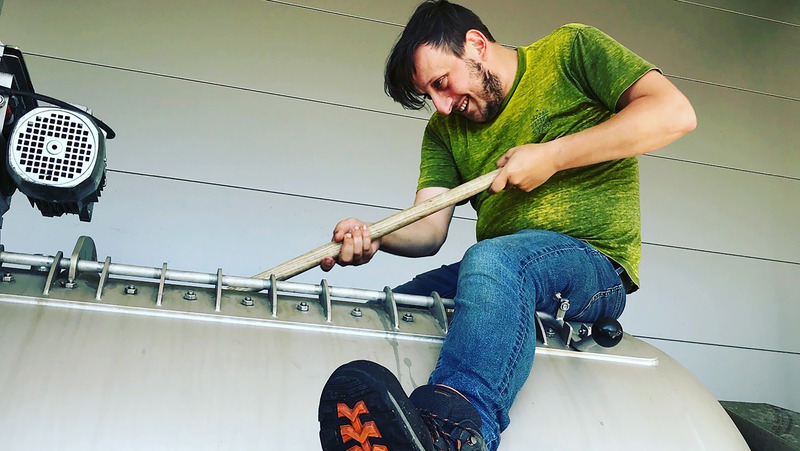 “It adds a layer of depth to your wine knowledge.” As a bonus, Gomez is getting course credit for his university enology program for the harvest he worked. Jackson Rohrbaugh, MS, is a Seattle native who has a bachelor’s degree in creative writing from the University of Washington. He discovered a passion for wine while working at Canlis, and eventually became the lead sommelier. When not working nights on the floor, he loves hunting down bargains in wine shops, reading literary fiction, and cooking Korean BBQ. Follow him on Instagram.